What children can understand and handle depends on their age, so use age-appropriate terms when discussing deaths and funerals. 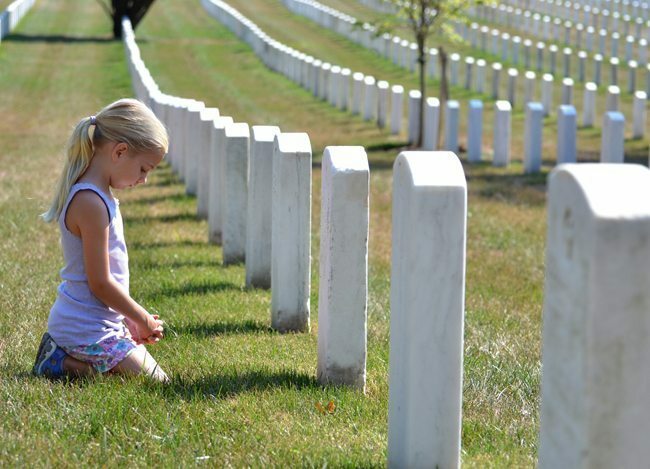 If a child really does not want to attend the funeral, find out why. The child may have fears or anxieties that need to be addressed. Never force a child to go to a funeral if he or she doesn’t want to go. If you do decide to take your child to a funeral, prepare the child ahead of time. Answer any questions and describe what will happen. What does the room look like? Who will speak? Will the body be viewed? Be detailed so the child is fully prepared and knows what to expect. It’s also helpful to explain why the ritual is important, how it helps us deal with our sadness with the support of others and how it helps us honor the deceased. According to the American Cancer Society, children may be bewildered at the range of emotions they see from other people: They may see someone crying at the funeral, then later telling stories about the deceased and laughing at the reception. Explain that this range of emotions is a normal reaction to grief. As to the funeral service itself, explain that it is a somber time and that running around and being loud will not be appropriate. The child should be old enough to sit relatively quiet for the length of the service. If you’re concerned that a child may become disruptive, sit at the back so you can exit quickly and less conspicuously. You don’t have to dress the child in black. Avoid worn shoes and tattered sneakers. Closed-toe dress shoes are more appropriate. In general, think sensible, understated and muted when dressing a child for a funeral. Finally, if you have questions or concerns about taking your child to a funeral service, ask the funeral home staff. They are well-versed in best practices for attending funerals!